For e.g. Men adorning themselves with female accessories presuming they are the mighty pharoah of a vast Egyptian dynasty of 1500 B.C or simply to copy some pink-purple-orange haired guy who shouts at the top of his voice for money [aka rockstar].
" يَحْرُمُ التَّشَبُّهُ بِهِنَّ [ أي : بالنساء ] بِلُبْسِ زِيِّهِنَّ الْمُخْتَصِّ بِهِنَّ اللَّازِمِ في حَقِّهِنَّ كَلُبْسِ السِّوَارِ وَالْخَلْخَالِ وَنَحْوِهِمَا بِخِلَافِ لُبْسِ الْخَاتَمِ " . " 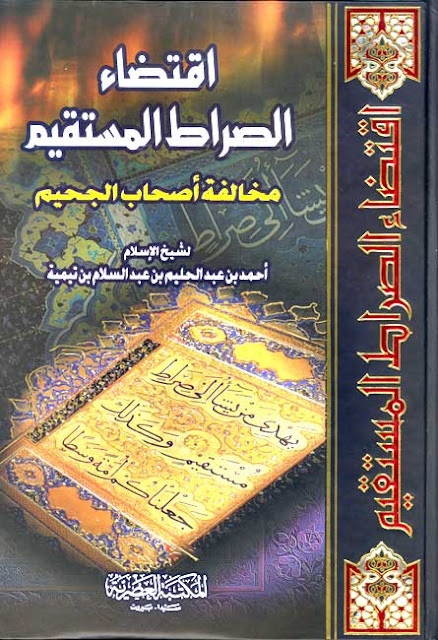 الفتاوى الفقهية الكبرى" (1/261) . It is haraam to imitate them (i.e., women) by wearing fashions that are unique to them, such as wearing bracelets, anklets and the like, unlike wearing rings. (خبر أن عمر: " أمر بجز نواصى أهل الذمة وأن يشدوا المناطق وأن يركبوا الأكف بالعرض "
`Umar (radhiallahu `anhu) ordered the disbelievers (living in a Muslim country) to keep the forelocks shaved, to wear the belts, and they should ride animals keeping both legs to one side and back to the other side. - حَدَّثَنَا زَيْدُ بْنُ يَحْيَى، حَدَّثَنَا عَبْدُ اللهِ بْنُ الْعَلَاءِ بْنِ زَبْرٍ، حَدَّثَنِي الْقَاسِمُ قَالَ: سَمِعْتُ أَبَا أُمَامَةَ يَقُولُ: خَرَجَ رَسُولُ اللهِ صَلَّى اللهُ عَلَيْهِ وَسَلَّمَ عَلَى مَشْيَخَةٍ مِنَ الْأَنْصَارٍ بِيضٌ لِحَاهُمْ فَقَالَ: " يَا مَعْشَرَ الْأَنْصَارِ حَمِّرُوا وَصَفِّرُوا، وَخَالِفُوا أَهْلَ الْكِتَابِ ". قَالَ: فَقُلْنَا: يَا رَسُولَ اللهِ، إِنَّ أَهْلَ الْكِتَابِ يَتَسَرْوَلَونَ وَلْا يَأْتَزِرُونَ فَقَالَ رَسُولُ اللهِ صَلَّى اللهُ عَلَيْهِ وَسَلَّمَ: " تَسَرْوَلُوا وَائْتَزِرُوا وَخَالِفُوا أَهْلَ الْكِتَابِ ". قَالَ: فَقُلْنَا: يَا رَسُولَ اللهِ، إِنَّ أَهْلَ الْكِتَابِ يَتَخَفَّفُونَ وَلَا يَنْتَعِلُونَ. قَالَ: فَقَالَ النَّبِيُّ صَلَّى اللهُ عَلَيْهِ وَسَلَّمَ: " فَتَخَفَّفُوا وَانْتَعِلُوا وَخَالِفُوا أَهْلَ الْكِتَابِ ". قَالَ: فَقُلْنَا: يَا رَسُولَ اللهِ إِنَّ أَهْلَ الْكِتَابِ يَقُصُّونَ عَثَانِينَهُمْ وَيُوَفِّرُونَ سِبَالَهُمْ. قَالَ: فَقَالَ النَّبِيُّ صَلَّى اللهُ عَلَيْهِ وَسَلَّمَ: " قُصُّوا سِبَالَكُمْ وَوَفِّرُوا عَثَانِينَكُمْ وَخَالِفُوا أَهْلَ الْكِتَابِ "
Abu ‘Umamah reports: The Prophet (sallalahu `alayhi wa sallam) once came to some old men of the tribe of Ansar. These men had extremely white beards. Seeing them, the Prophet remarked: ‘O People of Ansar dye your beards in red or golden colours and do not follow these People of the Book’. They declared: ‘O Prophet these People of the Book do not wear shalwars and loin cloths’. At this, the Prophet said: ‘Wear shalwars and loin cloths and do not follow these People of the Book’. They declared: ‘O Prophet these People of the Book neither wear shoes nor socks [while praying]’. At this, the Prophet said: ‘Wear shoes and socks and do not follow these People of the Book’. They said: ‘O Prophet these People of the Book lengthen their moustaches and shave their beards’. At this, the Prophet said: ‘Clip your moustaches and lengthen your beards and do not follow these People of the Book’. However, there were times when the prophet sallalahu `alayhi wa sallam, his companions, their students and scholars till this date allow and encourage copying the disbelievers in some non-religious matters . Ibn `Abbas (r.a) narrated that : The Prophet (sallalahu `alayhi wa sallam) used to let his hair fall naturally, and the mushrikoon used to part their hair, and theAhl al-Kitaab used to let their hair fall naturally, and the Prophet (sallalahu `alayhi wa sallam) liked to follow the Ahl al-Kitaab in matters for which he had not been given any instruction, but later on the Prophet (sallalahu `alayhi wa sallam) started parting his hair. قوله : ( ثم فرق النبي – صلى الله عليه وسلم – رأسه ) بفتح الفاء والراء الخفيفة ، وقد سبق شرحه في صفة النبي – صلى الله عليه وسلم – ، وفيه دليل على أنه – صلى الله عليه وسلم – كان يوافق أهل الكتاب إذا خالفوا عبدة الأوثان أخذا بأخف الأمرين ، فلما فتحت مكة ودخل عباد الأوثان في الإسلام رجع إلى مخالفة باقي الكفار وهم أهل الكتاب . His statement, “but later on the Prophet (sallalahu `alayhi wa sallam) started parting his hair” – its explanation has already preceded in [the chapter on] the attributes of the Prophet (sallalahu `alayhi wa sallam). And in this is a proof that he (sallalahu `alayhi wa sallam) used to agree with the the Ahl al-Kitaab when differing with the idol worshippers was the easier of the two matters. But then with the opening of Mecca and the entrance of the idol-worshippers into Islam, he returned to differing with the remaining kuffaar, who were the Ahl al-Kitaab. Other acts such as their technology, their discipline in day to day life, war-fare, etc. becomes mandatory as and when needed. 5. Some Claimants of Knowledge and Pseudo-Jurists/Muftis Exercising Church Type Authority or Dogmatism. Liberals take note : Thursday appears to refer to Maundy or Lentil Thursday, which Christians celebrated as part of the last days of the Lent holiday leading up to Easter. Dhahabi’s disgust for these festivities mimics that of Ibn Taymiyya. He criticizes Muslim imitation of mundane activities such as baking flat loaves of bread, painting eggs, dyeing hair, wearing special attire, burning incense, and hanging crosses made of tar. Ḥusn at-Tanabbuh lima warada fi-Tashabbuh (The Beauty of Awakening to what has been transmitted regarding Imitation) by Imam Najmud-deen al-Ghazzi ash-shaf`i from Shaam. This shaykh was a known sufi shaykh. Ironically, modern day claimaints of sufism could never reach the level of the actual sufi shuyukh when it comes to wala al-bara or even basic inter-islamic taqwa like this . Several features distinguish this work from its predecessors. First, this treatise is really an encyclopedia; it took Ghazzi nearly forty years to complete this project. Imam ghazzi rahimahullah did not limit himself to emphasizing the difference between Muslims and non-Muslims. Now shaykh ad-dimyati was literally troubled seeing how Egyptian Muslims back then when mingled with Non Muslims , tend to copy them from head to toe. To the extent that shaykh dimyati finally decided to pen it down. He categorized his book into many subsections, including criticizing egyptian males dying their hand in henna which was actually something the women did only. Then he saw egyptian Muslims partaking in many non islamic festivals, rituals celebrations etc. Then the shaykh went on to discuss how common muslims should not wear the religious dresses of other religions. Then from 1950 onwards , Muslim scholars witnessing the slow but steady changes in Muslims made them write many books on this topic. From almost every Middle eastern country and even by schools such as deobandhi scholar Qari Muhammad Tayyab (d. 1983) Islami tahzeeb o Tamaddun . He wrote this when India was still under british colonialism and muslims left Urdu as their language and adopted other languages esp. english and french. Today, in the modern India - the young Muslims barely know how to read or write Urdu. BARELY ! Even the secular Turkey had some scholars writing on this topic. But for turkey perhaps it was too late. I remember shaykh ibn uthaymeen rahimhullah in one of his tapes saying and giving references of how the world back during abbasid and ummayad caliphate rushed to learn arabic. Foreigners would learn arabic to impress the arab muslims. foreigners would teach their kids arabic the way we teach them english today. That was because we were the super power and the shaykh r.h made a very subtle point that people tend to copy the strongest. They feel ashamed of their own traditions when someone else becomes more powerful in the world .